Book: Singing to the Plants: Steve Beyer - ARTE AMAZONIA provides a global voice through art for the indigenous cultures of the Amazon. which explores in great length just what Peruvian mestizos shamanism is all about — what happens at an ayahuasca healing ceremony, how the apprentice shaman forms a spiritual relationship with the healing plant spirits, how sorcerers inflict the harm that the shaman heals, and the ways that plants are used in healing, love magic, and sorcery. "There are several reasons why a book on the mestizo shamanism of the Upper Amazon is worth writing at this time. Mestizo shamanism occupies an exceptional place among the shamanisms of the Upper Amazon, assimilating key features of indigenous shamanisms, and at the same time adapting and transforming them. There is today considerable interest in shamanism in general, and in Upper Amazonian shamanism in particular, especially its use of plant hallucinogens; yet there is currently no readily accessible text giving general consideration to the unique features of Amazonian shamanism and its relationship to shamanisms elsewhere in the world. We now know much more about shamanism than when Mircea Eliade published his famous overview in 1951. There is now a wider range of excellent ethnographies, including many of Amazonian peoples; debates within the field have sharpened an awareness of many of the assumptions that underlay the fieldwork of many decades ago. Indeed, we now know, too, much more about ethnobotany, hallucinations, and the actions of such substances as dimethyltryptamine. 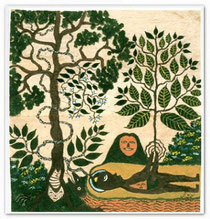 Moreover, ayahuasca shamanism has become part of global culture. The visionary ayahuasca paintings of Pablo César Amaringo are available to a world market in a sumptuous coffee-table book; international ayahuasca tourists exert a profound economic and cultural pull on previously isolated local practitioners; ayahuasca shamanism, once the terrain of anthropologists, is the subject of novels and spiritual memoirs. Ayahuasca shamans perform their healing rituals in Ontario and Wisconsin. It is time to try to put some of this together.